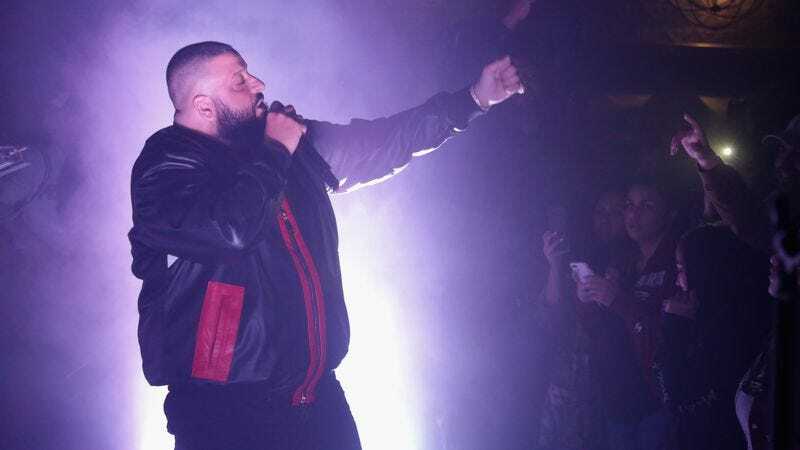 Last night, just as the Grammys ended, Dj Khaled released a new song called “Shining,” featuring Beyoncé and Jay Z. The song feels like it was meant to honor Beyoncé’s big night, as the hook features her singing about “all of this winning,” a proclamation that “we the best music,” and Jay Z using Grammy wins as a jumping off point on his verse. It’s a song that basically saw the trio feeling confident that Beyoncé’s nine Grammy nominations would warrant her some wins in the biggest categories of the night. And although Adele took home the big prize, it is a a bit of a salve, reminding that Beyoncé and Jay Z don’t let setbacks get the best of them.